Vertical stripes make your papers feel like gettin' horizontal! 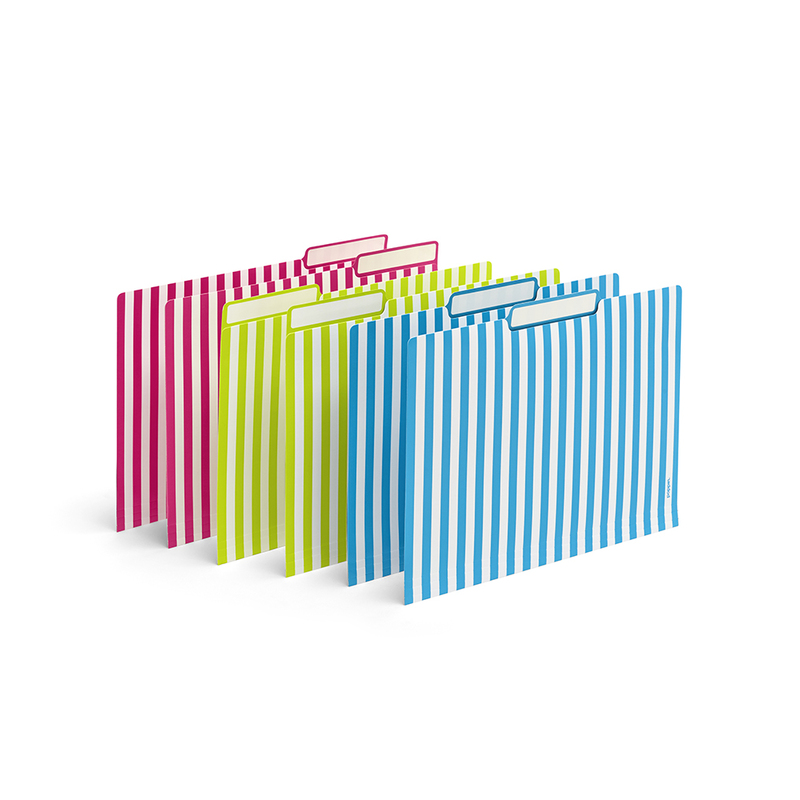 Our Striped File Folders in Pink, Lime Green, and Pool Blue make color-coding a snap. From monthly expenses to W-9s, they're so good-looking they'll brighten up anything you file.